The match between the sides from Denmark and Sweden ended in a scorless draw. 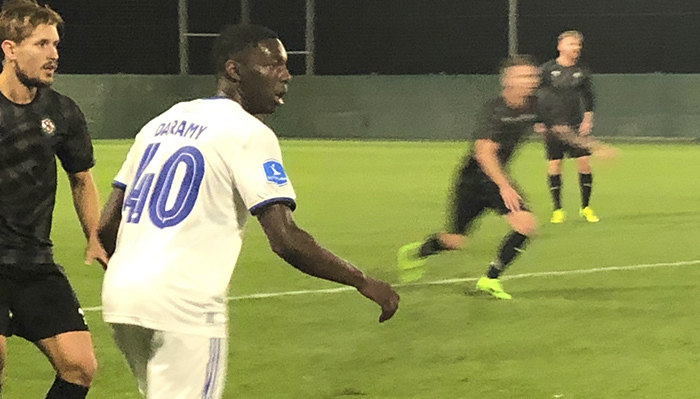 FCK was by far the better side, specialy in the second half, but Örebro was working very hard and Axel Kjäll’s men was good organized and physical strong. Both goalkeepers also made som match winning saves. The Swedes was pretty satisfied with the first half. 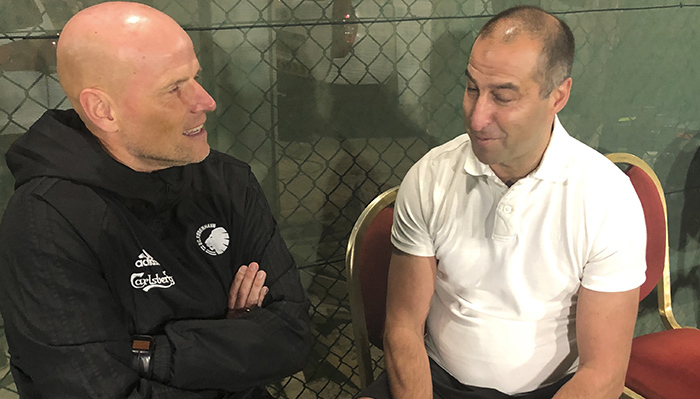 - I was pleased with the performance, because we created guite a few chances, and all the young players in the squad got to play, Ståle Solbakken told us. At some stage the FCK manager was a bit frustrated on the sideline, specialy as Rasmus Falk missed a couple of great chances at the end of the match. Ahead of the match, the Norwegian boss at FCK took the oportunity to listen to the former Millwall, Liverpool and Arsenal player Jimmy Carter, who works for Sporting Events Ltd the organizer of the tournament, telling some storys from his time at Anfield. It is common knowledge by almost everyone that Ståle is a great Liverpool supporter. I guess he wasn’t to pleased with Liverpools draw against Leicester later on last night. Ståle Solbakken lisen to Jimmy Carter telling stories from Anfield.